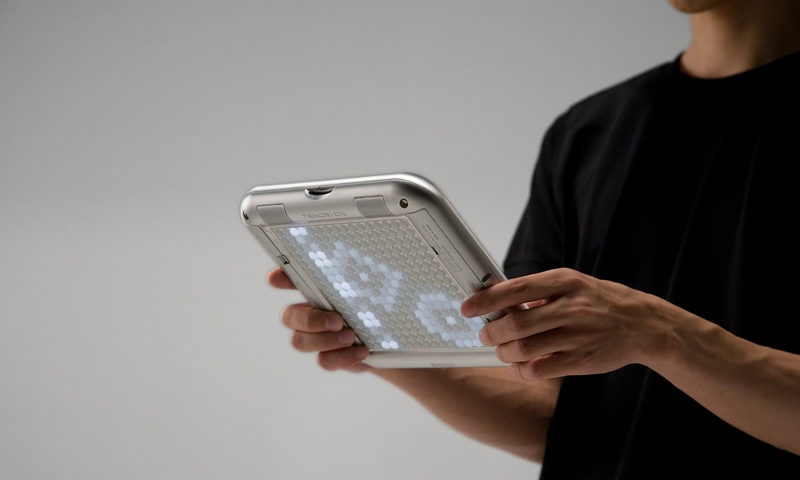 A musical interface of light and sound, born from the collaboration between Yamaha and media artist Toshio Iwai. An intense presence enhanced by an insistence on quality textures and their choice to eschew paint in favor of a magnesium exterior. To fit batteries, speakers, 512 LEDs, and the other components required into the square body, designers embraced only the barest elements necessary. 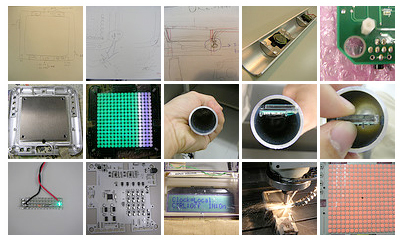 A proposal for a fun, interactive instrument that anyone can use; an instrument that you want to try as soon as you touch it. In testing an interface based on the tactility and lighting of switches, Yamaha Designers sought to make playing a musical instrument an enjoyable experience for all. The 256 switches that make up the Interface are not reserved solely to output sound, they also emit light to add expression to performance. 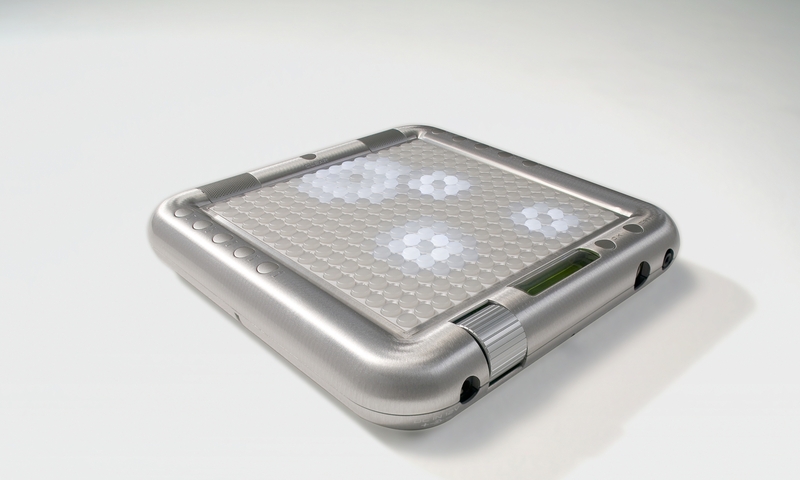 Accordingly, the reverse face of the instrument also features LEDs for audience to see. 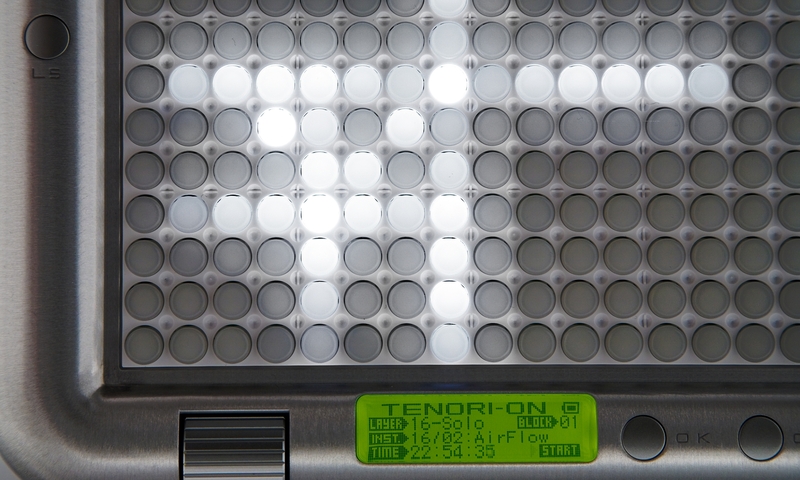 When performing with a TENORI-ON, sound and light unify in a duality that surpasses the performance styles of other conventional electronic instruments. 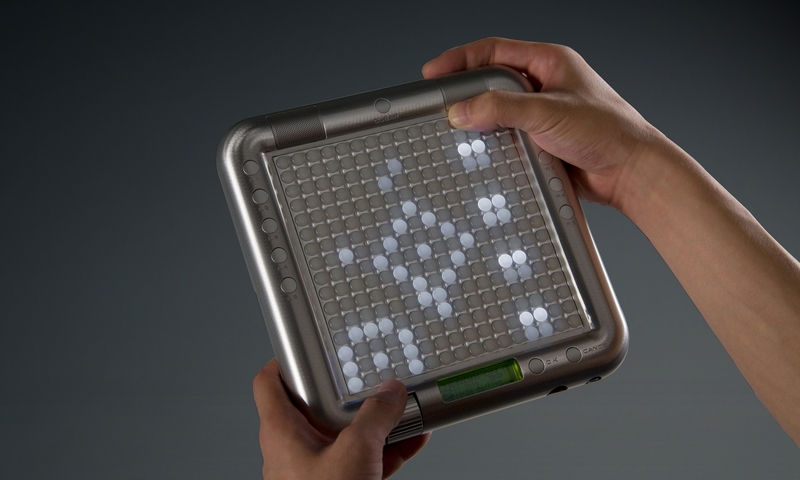 The result of a collaboration with media artist Toshio Iwai, the TENORI-ON is a twenty-first century musical interface that will allow even those without any musical knowledge to create and perform music using visual cues and their own intuition. The Moment TENORI-ON Began to Move On Its Own. 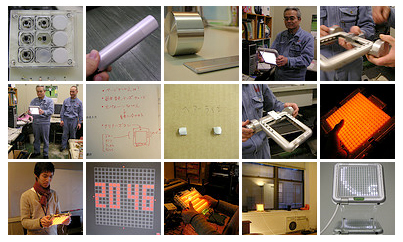 The idea for TENORI-ON came from discussions I had had with Toshio Iwai on the nature of new musical instruments. We had sketches of it from very early on, but right from the outset we had to think about what one could actually do musically with this "digital" layout of 16 by 16 squares. Of course we planned to include the ability to do things like create songs using steps like you find in a conventional step-based sequencer, but that in itself was nothing more than a replacement for existing products. One day I was thinking about this while in my car, it began to rain. 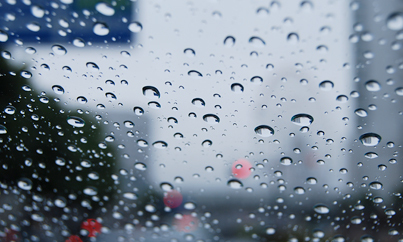 I was watching the raindrops on the windshield and thinking about how I could connect this drop to that one and make a triangle…and then a square...and then move them all together to create a polyloop..and then it hit me. 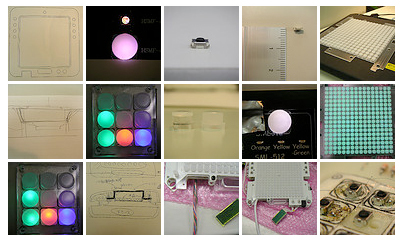 I realized that it would be really interesting to make the switches on the TENORI-ON light up and move just like the raindrops. I went straight back to work and wrote a program to do just that. The results were fantastic. Both musically beautiful and complex, I was deeply impressed with how simple the program was to use. When the simple poly-loop I created began to expand beyond what I was capable of creating myself to become a truly wonderful sound, I realized that here I had an instrument that could exceed the abilities of the artist and work by itself. I think in that moment TENORI-ON took on a life of its own as an instrument.